What books should be taught in schools? It sounds like a simple question but the answer can be complex. Challenges to curriculum content have torn apart communities. On the one hand, advocates of banning certain books maintain that children in grades K-12 will be harmed if we don't protect them from inappropriate materials. Opponents are equally heated in insisting that censorship of books and other curriculum materials violates the academic freedom and diversity of thought protected by the U.S. Constitution. Among the classic works of literature banned from schools over the years have been Shakespeare's Hamlet, Nathaniel Hawthorne's Scarlet Letter, and Mark Twain's The Adventures of Huckleberry Finn. An American Civil Liberties Union report lists among the most frequently banned or challenged books of 1997 R. L. Stine's Goosebumps series, I Know Why the Caged Bird Sings by Maya Angelou, and Catcher in the Rye by J. D. Salinger. A report by the National School Boards Association (NSBA) found that challenges of school materials are common throughout the United States. Those challenges frequently work; nearly one-third result in materials being withdrawn from schools or their use curtailed. During Banned Books Week, people are exhorted to fight against banning and censorship. Yet do opponents of banning books believe that any book is appropriate for teaching in school? And where should the line be drawn between books that are appropriate and inappropriate? A number of experts have explored these and related questions of censorship. Censorship is "the removal, suppression, or restricted circulation of literary, artistic or educational materials ... on the grounds that these are morally or otherwise objectionable in light of the standards applied by the censor," writes Henry Reichman in Censorship and Selection, Issues and Answers for Schools. According to definitions like this, observers point out, many decisions made by school boards about what can be taught in schools might be seen as acts of censorship. "invasions of privacy" -- projects requiring students to share personal information. Supreme Court cases that deal with censorship issues show a broad trend toward supporting the schools, but they also caution educators to remain aware of values, including minority values, in the communities they serve. Experts have cited the First Amendment of the Constitution as protecting both students' rights to know and teachers' rights to academic freedom. At the same time, legal experts argue, parents have the right to protest books or materials that they consider damaging to their children. In a landmark censorship case, Island Trees Union Free High School v. Pico (1982), the Court asserted that the "Constitution does not permit the official suppression of ideas," and the banned books were returned to school shelves. In this and other cases, the Court seems to allow school boards a rather free hand with curriculum materials. In the Pico case, Justice Brennan's plurality opinion stated that a basis for resolving censorship conflicts over school materials could rest upon the use of "establishedunbiased procedures for the review of controversial materials" at the local level. To avoid controversy, school boards need clearly stated policies delineating how materials are selected. Selection policies should weigh the viewpoints of various groups in the community and be implemented by professionals. Those developing selection policies must consider community and parental concerns and demonstrate acceptance of our national diversity, asserts Reichman. If selection policy ignores minority rights, censorship issues may arise. And school materials should not be selected for partisan political reasons. 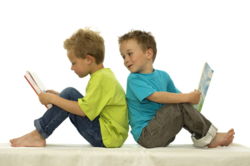 Ask parents to contribute to developing school reading programs. Give recommended, rather than required, reading lists. Have files of professional reviews that support materials. In collective bargaining agreements, negotiate clauses that protect academic freedom and call for agreed-on selection processes. Discourage the concept that only one text can be used to teach a specific theme. When controversy flares up despite efforts to avoid it, there are ways of handling it to minimize damage. In "Censorship of Curriculum Materials," JeanMarie Aurnague-DeSpain and Alan Baas say, "good internal communications and public relations offer the best way to avoid unnecessary controversy." Meet with the complainant and attempt to resolve the issue. If that fails, request a written complaint detailing the questionable material, the bad effect it is thought to have on students, and what replacement materials are suggested. Give the complainant a copy of published district policies for controversial materials and explain the procedure to be followed. Have a review committee provide the school board with a final report. Inform the complainant of the review process and when committee meetings are slated. While the complaint is being explored, keep the controversial material available, except possibly to the student whose family has filed a challenge. School boards are legally responsible for what is taught in a district, according to U.S. courts in general. The board delegates power to school officials and so is held responsible for school policies. In summary, the NSBA report states that "the challenge is not to avoid censorship, but to meet it head on with adequate policies and procedures that provide an open forum for deciding what should -- or should not -- take place in public schools." Censorship: Managing the Controversy by Linda Chion-Kenney; National School Boards Association, Alexandria, Va. (1989). 88 pages. The International Reading Association's Role in the Politics of Censorship by Larry Mikulecky; paper presented at the annual meeting of the International Reading Association, New Orleans, La., April 27-May 1, 1981. Censorship and Selection, Issues and Answers for Schools by Henry Reichman; American Association of School Administrators, Alexandria, Va., and American Library Association, Chicago (1988). 141 pages. Censorship Post-Pico by John David Terry II; in School Law Update by Thomas N. Jones and Darel P. Semler, eds., National Organization on Legal Problems, Topeka, Kan. (1986). Banned Books and Censorship A list of Web sites that deal with book banning.